Turkey’s Cultural Awareness Foundation (Kültür Bilincini Geliştirme Vakfı - KBGV) announced on April 26 that “Hasankeyf and its Surroundings” has been shortlisted by Europa Nostra for its “7 Most Endangered” program. KBGV prepared the nomination of Hasankeyf in cooperation with the volunteer organization Hasankeyf Matters. 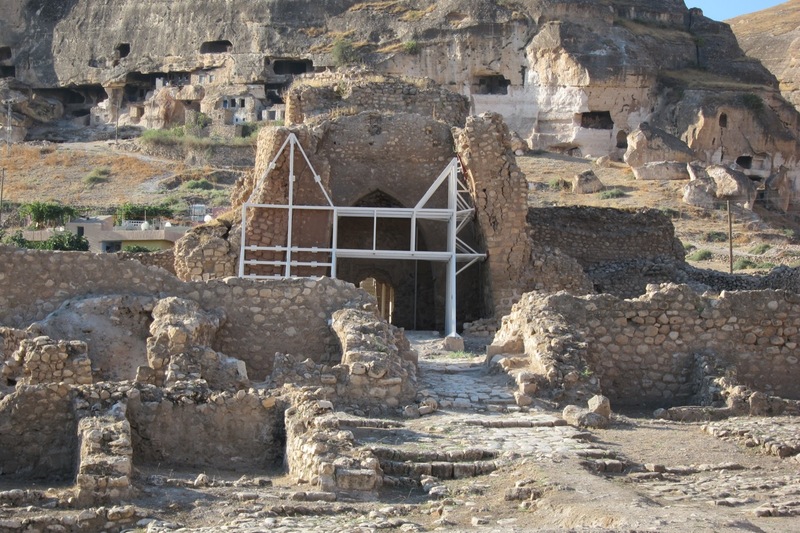 Hasankeyf is the only site among the 14 Europa Nostra finalists to include important examples of Islamic architecture, and its planned destruction by the Ilısu Dam project is only a few years away. An international advisory panel composed of eminent experts selected the shortlist of threatened landmarks from among 40 nominations submitted by civil society organizations and public bodies from 21 countries. The final seven will be announced at Europa Nostra’s 50th Anniversary Congress in Athens on June 16. Cradled between the Tigris River and the steep cliffs of the Tur Abdin Plateau in Southeastern Turkey, Hasankeyf provides an extraordinary example of continuous urban history. Indeed, recent excavations indicate that the town’s history began as early as 9500 BCE, making it one of the oldest organized human settlements to be found anywhere. Hasankeyf reached the height of prosperity in the 12th-15th century, when the city served as capital of the Artukid Turks and the Kurdish Ayyubids. Today, the town contains several exceptional examples of Islamic architecture, including the 200-meter Artukid bridge, the Koç Mosque, with its rare combination of central dome and arched entryway (eyvan), and the onion-domed Zeynel Bey Tomb, the only example of Timurid tomb architecture in Anatolia and a poignant memorial to the long, difficult struggle between the Ottoman Empire and the Akkoyunlu Tribal Confederation. It is also set in a pristine, biologically diverse natural surrounding. If the construction of the Ilısu hydroelectric dam continues as foreseen, 80 percent of Hasankeyf’s historic monuments will be flooded within the next decade and the local environment will be irreversibly altered. At present there is no internationally recognized plan for the conservation, preservation or relocation of the city’s monuments. If spared inundation, Hasankeyf has the potential to provide a sustainable anchor for local and regional economic development, providing visitors and scholars with a contextualized record of shared human history, spanning the continents of Europe and Asia. Following selection of the final seven sites in June, they will be visited in the second half of 2013 by teams composed of heritage experts from Europa Nostra and its member organizations, as well as of technical and financial specialists from the European Investment Bank Group or the Council of Europe Development Bank. In close consultation with local stakeholders, they will assess existing problems and sketch viable and sustainable action plans for each one. Results are due to be presented at the European Heritage Policy Conference organized by Europa Nostra in Brussels on Dec. 5, 2013. “With this new advocacy program, Europa Nostra aims not only to identify the most endangered monuments and sites in Europe but also to launch a true call for action. By sending multidisciplinary teams of experts to visit the selected sites, together with our partners, we will seek to contribute to finding sustainable and viable solutions for the future. In this way, we hope to inspire and encourage action by various public and private organizations also in other places in Europe and beyond,” stated Denis de Kergorlay, Europa Nostra’s executive president. St. George Armenian Church in Mardin, with foundations going back to the 5th century, served a large Armenian population until the beginning of the 20th century and today provides an example of the role Mardin has played as a melting pot of cultures and religions. The Buffer Zone of the Historic Centre of Nicosia, Cyprus, is the focus of an award-winning master plan, developed by conservationists from the Greek Cypriot and Turkish Cypriot communities, to revitalize this lifeless 1.5 km corridor, which crosses the historic city of Nicosia.